3D Printed Halbach array Motor. 600W, over 80% efficiency! This is the Halbach array setup. Every 5 magnets the pattern repeats. 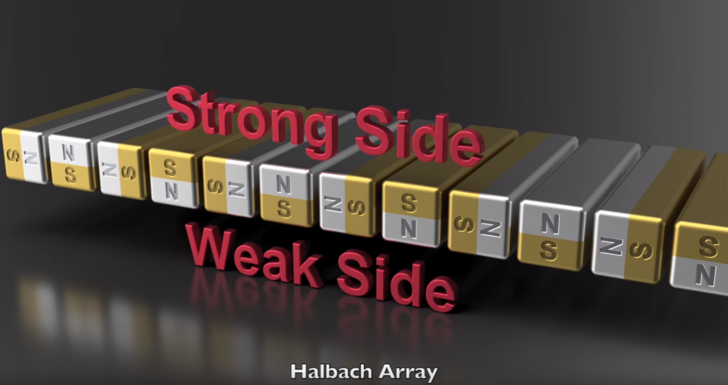 https://en.wikipedia.org/wiki/Halbach_array for more information. Could you let us know how the operational efficiency compares to a normal brushless motor? 3D printing looks like an awesome way to prototype! If this heats up much I suspect there will be issues. Yes, incredible work. And I love to see real practical applications of high-performance 3D Printing. But I'm curious about the efficiency numbers. 80% seems to be pretty low compared to typically claimed BLDC efficiency of 92%. Is this less efficient because it's made of plastic? Or are the motor vendors optimistic? 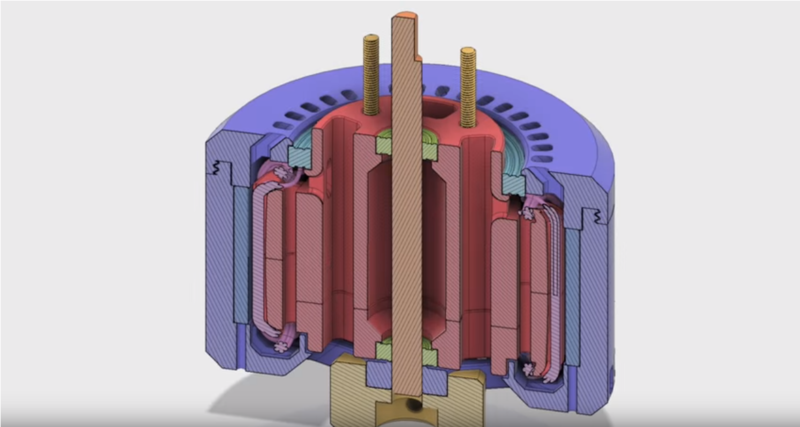 What's the motor weight and how does it compare to standard BLDC motors of same wattage ? Motor vendors are often optimistic ;) But you can get over 90% mechanical efficiency with the right motor prop combination. Prop efficiency should not be included in the motor efficiency figures. Also, it would be nearly impossible to see prop efficiencies near 90%. Highest I've seen is 75%. You are right, I meant that the motor itself can be 90%+ efficient when the prop generates a torque and speed in the most efficient torque-speed region of an efficient motor. What props / diameter / RPM / thrust are 75% efficient? At any single speed, that is extremely high efficiency for a prop - in hover? I am not doubting you, just want to know. This is amazing! It shows how far 3D printing and home electronics parts building has come.